Broadway took home another championship in the Junior Hunters at Caledon Equestrian park this week. Ridden by Sam Walker the pair won 3 over the over fences. This super sales horse continues to be super competitive and consistent in the Juniors. Acardi Du Houssoit Z piloted by Sam Walker won the FEI Open Welcome at Caledon Equestrian Park on August 9th. The class saw a total of 14 entries with Sam and Acardi being the fastest double clear round. The following day the pair picked up an 8th place with a clear first round in the $35,500 FEI Jumper Classic, super start to the 2* week! Super Nations Cup day at North American Youth Championships (NAYC), with Team Canada finishing in Bronze Medal position! Sam Piloted MarBill Hill Farm's Coralissa to a clear 2nd round for the team to secure the 3rd place finish! Sam and Coralissa also had an unlucky rail in the Individual Final which still resulted in 7th place individually. Super first time at NAYC for Sam, and young talent Coralissa, one of the youngest horses competing. Super weekend for our Younger Adult Amateurs, Kendal Bielby Champion with Heavenly while Kathryn Dafoe finishes Reserve Champion with Marcello. Heavenly won 2 of the classes, Marcello also won a class, and finished top 3 in 2 other classes and winners of the Under Saddle! Houdini proves to be an unbeatable equitation horse in Ottawa. Winning every equitation class entered in, for both weeks at Ottawa! The latest wins include in the Jump Canada Medal and the CET Medal. This superstar horse also was super in the Hunter Derby finishing 2nd, talk about consistent! Sam Walker Sweeps the $10,000 U25 Class! Sam proves to be unbeatable in the $10,000 U25 Grand Prix sponsored by MarBill Hill Farm! Sam finish 1st with Quivive SZ owned by North Run and Axel Verlooy Stables. 2nd place went to Sam again, this time with MarBill Hill Farm's Corallisa, 3rd Place with North Run's Twan, and 5th with his own Acardi! All 4 horses were clear in the first round, with 3 finishing double clear! A super week for sales horse Centre Court in the 3'6 High Performance. Centre Court took home a 1st place finish as well as 3 third ribbons in an competitive division. This horse is constantly improving and becoming very competitive with his super jump! Laconia 7 had a super round in the Speed Derby finishing 4th! This speed derby was set at 1.25m and included natural obstacles such as the ditch, and dike. This super horse was also successful in the CET Mini Medal with owner Madison Ride before competing in the speed derby! Houdini finished 2nd in the $10,000 Hunter Derby with Sam Walker. The pair completed the difficult track with the highest hunter score. This course included high point option jumps and natural obstacles such as the devils dyke and the steep bank. Houdini proved the difficult course was not match and laid down a beautiful round! Acardi and Sam Walker had a super finish in the $50,000 Grand Prix at Wesley Clover Park in Ottawa! The pair managed to complete the difficult track with one down, which saw only 3 clean rounds total. Sam's second mount, Coralissa also performed super over the very difficult track! Broadway continued his winning way taking home the Championship in the Junior Hunters. Broadway won 3 of the over fences classes! This super horse is proudly offered for sale, and will win at every venue! The final Sunday of Angelstone Tournaments Summer Series was a successful one with Sam Walker and 8yr old Coralissa owned by Marbill Hill Farm winning the Modified Grand Prix. With 19 total entries and 9 of those jumping clean in the first round. Only 3 were capable of jumping double clean, with Sam having the winning time of 39.654! Promising future for these two! Houdini wins his first ever CET Medal and Angelstone Tournaments. First time for the horse to compete in the equtation class with Sam Walker riding. Houdini also won last weeks Jump Canada Medal with Sam. Houdini was also successful in the High Performance Hunters, as well as the Junior Hunters, proving what a quality equitation/hunter he is. The Forest Hill Team is looking forward to seeing Houdini's continued success as a sales horse. Successful weekend in the junior hunters at Angelstone Tournaments, with Broadway taking home the championship. Sam was also successful with Houdini and Centre Court. All three horses are proudly offered for sale. In the first Saturday Night Grand Prix, Sam Walker and Coralissa took home 7th place! Ten horse and rider combinations were able to complete the first 1.40m round clear, of those 10 horses, Sam successfully jumped 3 horses clear. Top honours went to the eldest in the class- Hugh Graham, who also took 2nd place, leaving Sam, the youngest in the class to finish 3rd! A super result for Coralissa, a 8yr old new up and coming horse who was just purchased by Marbill Hill Farm this past winter. Sam also finished 5th on Acardi Du Housesit Z, owned by Forest Hill Farm, and 10th on Laconia 7, owned by Madison Ride. Thursday June 7th the $10,000 Open Welcome class took place at Angelstone Tournaments. The first big class of the season started at 6pm with a total of 31 competitors. Kenya and Coconut produced a double clear round finishing 2nd, only to be beat by Canadian Team member Keean White. Sam Walker also competed 4 horses in the Open Welcome, finish all 4 in the top 13. Top results for Sam were with 8yr old Coralissa, owned by Marbill Hill Farm. Friday brings another exciting event at Angelstone Tournaments, Hunter Derby Day! With two derbies taking place, the Hunter Derby and the JR/AM Hunter Derby both taking place in the EEC Memorial Grass Ring. Over 12 obstacles to jump, with 4 high options for added points, points are also added for handiness, i.e. who completes the course efficiently with tighter turns. Sam Walker aboard Miracle, owned by Marbill Hill Farm took home 2nd place in the Hunter Derby, while Julie Watt took home 2nd in the JR/AM Hunter Derby with Heavenly, also owned by Marbill Hill. Congratulations to both riders and Marbill Hill for fantastic results in the years first hunter derby! 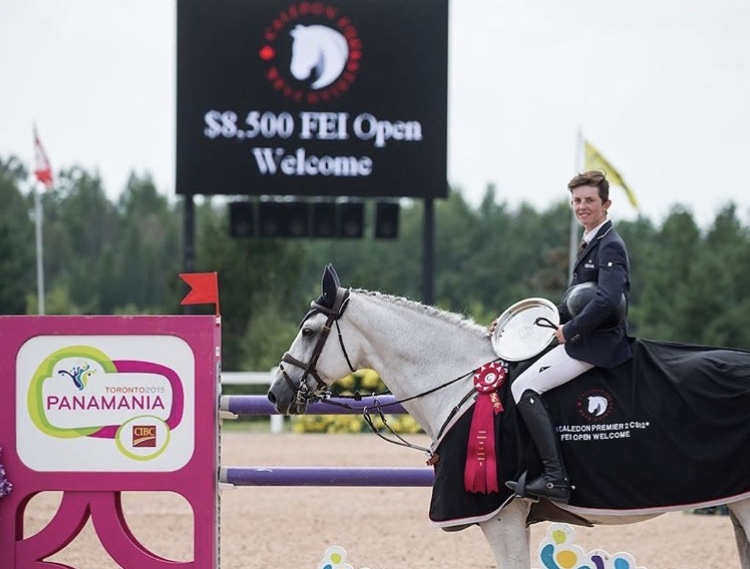 After a successful week at the Devon horse show, Sam Walker returned to Canada to compete in the $10,000 Stake class at Caledon Equestrian Park. Aboard Acradi Du Houssoit Z the pair finished 3rd with a double clear effort. This part is next set to compete next at the Angelstone 2* in the FEI classes. Congratulations to Kenya Greenburg and Eagle Valley Partners' Coconut on their 4th place finish in this summers first U25 event. 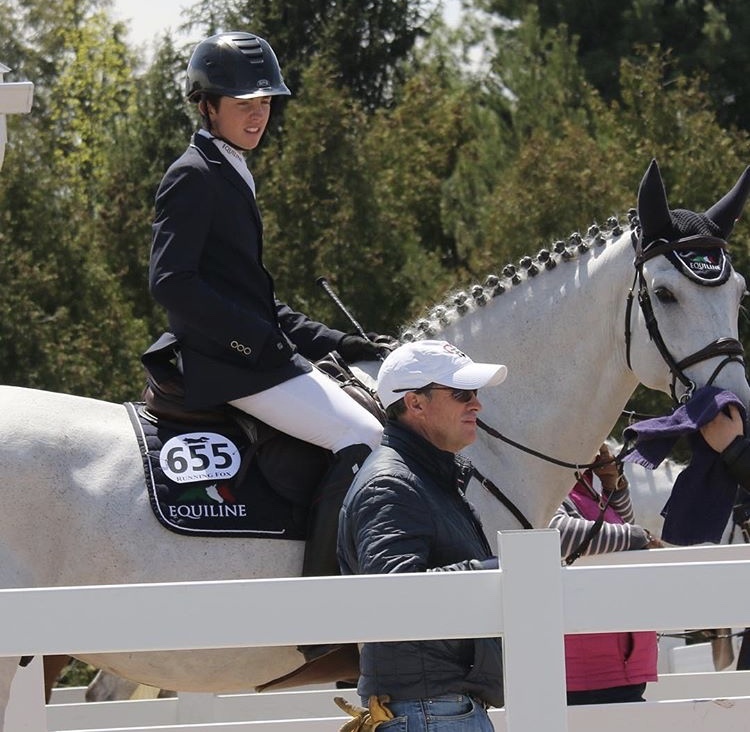 The class took place during the Classic at Palgrave 2* event, the feature Saturday class. With only 3 horses jumping clean, Kenya and Coconut had the fastest 4fault time. Super start to this new partnerships first attempt at a U25 event! Julie Watt took home both Champion and Reserve Champion in the Adult Amateur Hunter abroad Miracle and Heavenly during the Caledon National 2*. Both horses are owned by MarBill Hill Farm. Miracle won 2 of the 3 over fences, while Heavenly placed 2nd in two of the over fences classes. Super start to the summer for both horses!